Some of us are starting to get cabin fever – so it’s a good thing Spring Break is just around the corner. Whether you’re planning a trip across the state or across the Atlantic, it’s a good bet you’re starting to think about what you’ll need. So, while you’re packing your bermuda shorts and sunscreen, don’t forget to pack the Mango Languages app! TFPL provides a subscription to this awesome language learning tool to all of our cardholders, which gives you free access to the program wherever you are. The system works just fine on a PC, but with mobile apps, you’re able to take those languages with you (because you never know when you might need to know a few key words in Portuguese, am I right?). And, with over 60 foreign languages – and 19 ESL courses – you can become fluent in more than one! The courses are interactive, some even offer movies, and they have a translate option for words and phrases on the go. Plus, there are a few “specialty” courses, like Oktoberfest German, Religious/Scholarly Greek, and Russian slang, for whatever situation you might find yourself in (no judgment here – it’s Spring Break, after all). If you’re inside the Library, you can sign in as a guest and start learning right away. Outside of the Library, create an account so you can track your progress and see which lessons you’ve completed. Hav det sjovt! 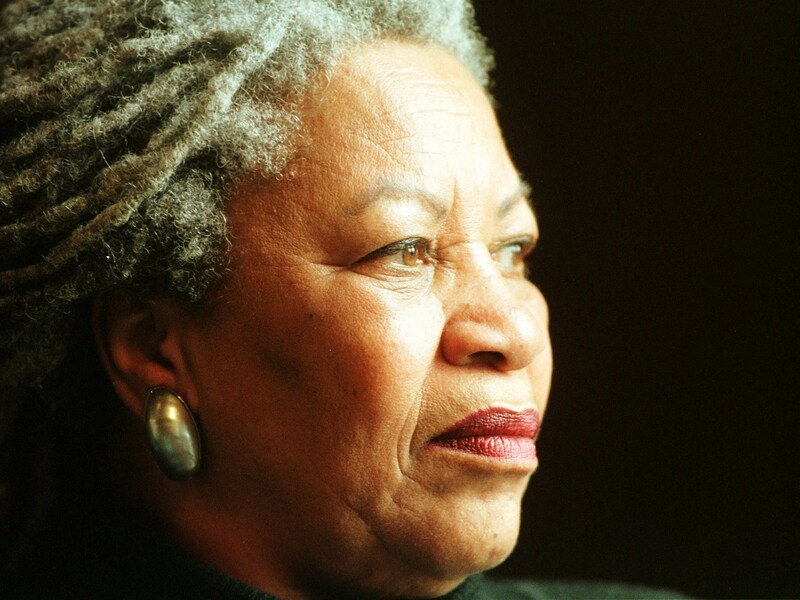 Today just happens to be Toni Morrison‘s 85th birthday, so we thought we’d highlight her great novels. She is an epic figure in U.S. arts and letters, and is the most recent American writer to win the Nobel Prize in literature (1993). Her latest novel, God Help the Child, was published just last year, and she continues to write and teach. If you haven’t read Morrison before, or if you haven’t read her for awhile, pick up one of her books and get started. Titles with an * are ones I highly recommend. At the heart of Sula is a bond between two women, a friendship whose intensity first sustains, then injures. Sula and Nel are both black, both smart, and both poor. Through their girlhood years, they share everything. All this changes when Sula gets out of the Bottom, the hilltop neighborhood where there hides a fierce resentment at the invisible line that cannot be overstepped. Milkman Dead was born shortly after a neighborhood eccentric hurled himself off a rooftop in a vain attempt at flight. For the rest of his life he, too, will be trying to fly. On a tropical island paradise, six people interact with each other in all the tender or hateful ways that human beings are capable of. Rich and poor, black and white, young and old, male and female, each has something to teach the others–and each has something to learn. In Harlem, 1926, Joe Trace, a door-to-door salesman in his fifties, kills his teenage lover. A profound love story which depicts the sights and sounds of Black urban life during the Jazz Age. Tells the story of Ruby, Oklahoma, an all Black town settled by a dozen families in the 1890s when they were turned away from other communities. But now it’s the 1970s and the men of the town blame the women and the women’s shelter for the change in their community’s character. The epitome of a group of women’s ideals about love, fatherhood, and friendship, wealthy hotel owner Bill Cosey finds his life compromised by his troubled past and his feelings about a spellbinding woman named Celestial. In exchange for a bad debt, an Anglo-Dutch trader takes on Florens, a young slave girl, who feels abandoned by her slave mother and who searches for love–first from an older servant woman at her master’s new home, and then from a handsome free blacksmith, in a novel set in late seventeenth-century America. Spare and unsparing, God Help the Child is a searing tale about the way childhood trauma shapes and misshapes the life of the adult. Annotations are courtesy of NoveList Plus, which has even more great stuff about books and authors, along with suggestions and series information. So, here’s a list of some fun (and funny) Valentine’s Day inspired murder mysteries. Just in case you need a little bitter to temper all that sweet stuff this weekend. A collection of sixteen Valentine’s Day mysteries that blend love and murder encompasses stories by Ed McBain, Anne Perry, William J. Caunitz, Mary Higgins Clark, Jonathan Kellerman, Joyce Carol Oates, Elmore Leonard, Sara Paretsky, Bobbie Ann Mason, and other notable authors. Diesel returns to Stephanie Plum’s life in this “between-the-numbers” title in the series. Stephanie is looking for Annie, a relationship expert and matchmaker and finds her in the protective custody of none other than old flame, Diesel. In order to collect on Annie, Stephanie is going to have to play the part of matchmaker to several lonely people. Annotations are courtesy of NoveList Plus. Check out NoveList Plus for more fun stuff, including reviews, series and author information, and reading suggestions. From the April 5, 1937 edition of the Idaho Evening Times. Black History Month has gotten underway, and to celebrate, we thought we’d highlight a figure with importance to our local history. And while we can’t quite claim Henry Harris as an Idahoan (though he died and is buried here in Twin Falls), he helped to expand the idea of what a Southern Idaho cowboy was. Harris came out West in the 1880s and worked for John Sparks whose cattle roamed the Northern Nevada/Southern Idaho grangelands. Harris soon became a foreman for the Sparks-Harrell Company, and oversaw all the hands at the D.B. Ranch near Wells, Nevada, most of whom were white. Stories paint him as fair-minded boss, a man who could bust broncs with the best of them, and a pretty good storyteller. His legacy lives on quietly – an abandoned railroad stop near Contact, NV still bears the name of “Henry,” named after Harris in more prosperous days, and he was inducted into the Buckaroo Hall of Fame (Winnemucca, NV) in 2008 and the National Cowboys of Color Hall of Fame (Fort Worth, TX) in 2009. Learn more about Henry Harris here.